Those fighting game fans that started out as young ragamuffins in the arcades may admit to having their own “soft ban list” for private battles. Our inexperience led us to consider many characters “overpowered” or “unfair”. Back when my friends and I would sink hours into Street Fighter 2 EX Plus Alpha, we eventually wrote up our own soft ban list. We practically made a case for every character in the game to be on the list. I recall a time when a friend came rushing round my house excited that he could now perform Vega’s Izuna Drop. Our jaws dropped in unison as the sprite jumped off the wall, bounced off the ceiling and locked Ken’s sprite in a suplex. We then added him to the list, putting an end to that madness once and for all. Stretchy limbs that can hit you from full screen? That was a banning. A projectile invincible throw? That was a banning. Characters that force your opponent to do anything other than button mash? Oh, you better believe that was a banning! Who remembers Super Street Fighter 2: Turbo? This was where the now infamous Akuma made his debut to the franchise. 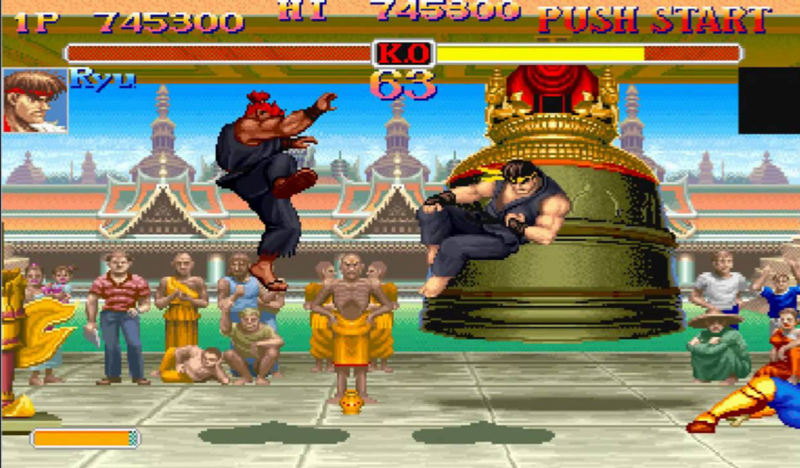 After meeting certain requirements, players would be introduced to the demon himself before the final match against M. Bison. But, since he was intended as a single player boss fight, his move set was intentionally over-tuned. His air projectile is probably the most obnoxious and was almost impossible for most characters to deal with. Combine that with a few game breaking exploits and it’s clear he wasn’t intended for competitive play. Akuma has since been toned down in future versions of SSF2T, though he is still banned from US tournaments and from ranked in SF: 30th Anniversary Collection. Fast forward multiple entries, and Akuma is still wildly considered a solid character, but does that warrant a ban? There’s no fighting game more “esports” than Street Fighter V, with the Capcom Pro Tour streaming events all year round. However, one only had to hang out in Twitch chat throughout Season 3 to witness a sea of ResidentSleeper emotes whenever Cammy was picked. To this day, her Season 3 iteration is considered one of the easiest “overpowered” characters to play and with the most linear game plan – namely, get in once and then superglue yourself to your opponent. This led to fans and pros alike consider her “braindead”. Crossing genres, the Call of Duty pro scene has also had its own issues with bans. As recently as this year, many players took to Twitter to warn that map vetoes could sacrifice the “competitive integrity” of the pro scene, while others welcomed the idea. Restricting the choice of maps runs the risk of the same map dominating a five game set, while forcing teams to adapt to a map they aren’t as familiar with will further showcase their skill and hype up the viewers. Everybody loves an underdog. It was hard to blame many CPT fans for wanting Season 3 Cammy banned. When you’re tuning into these events, you want to see the best of the best battling it out with a variety of characters. Nobody wants to witness a Cammy mirror match; try taking a drink whenever you hear “Cannon Spike!”. Variety provides more viewers, too, something we’re sure Capcom would welcome. This in mind, overpowered characters still require skill and spontaneous decision making. Otherwise, anybody could depend on Cammy or Akuma to make the finals of a major. Pros are going to practice against the “top five” to learn how to counter them. Could this be why Cammy didn’t win Capcom Cup 2018? Think of it as playing poker with your hand flipped face up. You lose the element of surprise and must depend on the strength of your hand to win the pot. Victor “Punk” Woodley made this mistake at EVO 2018. Known to be one of the best Karin Kanzuki players, Punk was criticised for switching to Cammy because he was so concerned his main would lose to the “top tiers”. In a shock elimination, he was sent to the losers bracket immediately, losing out to a “bottom tier” Alex player. Unless a character is SSF2T Akuma levels of broken, banning isn’t compulsory. The meta exists in all competitive games and serious players will always respect it. Will a pro player choose a bottom tier character solely to avoid Twitch chat toxicity? When their level of success pays their bills, that’s highly unlikely. But the banning debate is like walking a tightrope for tournament organisers. They want to provide variety while simultaneously respecting the hours of preparation from their participants.